Mankind has been using yeast, fungi and bacteria to produce food for a long time. More recently we've started harvesting and using enzymes (not just to do the laundry) and since about thirty five years gene technology is on the rise. 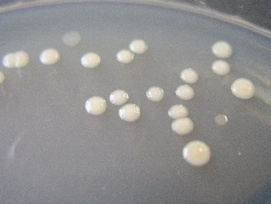 In science class we will focus on the classic biotechnology with special attention for bacteria and fungi. 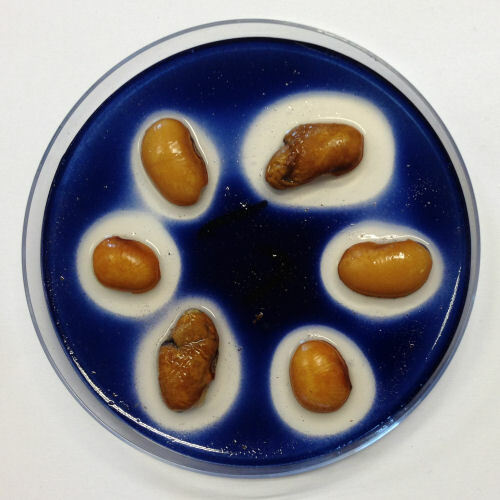 Petri dishes with nutrient agar are very good to grow bacteria and fungi (see the pictures to the left and the youtube movie). You will use this technique to investigate various sources of infection. 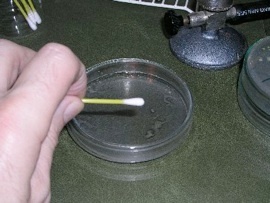 You will also use an inoculation loop and cotton swabs. We will make our own yoghurt and sauerkraut (see youtube movie), but also look up information about pasteurising and sterilising. After some standard research you will do your own investigation in groups of 3-4: looking for cleaner and dirtier places in school. You will make your own choices and will write a report about it. 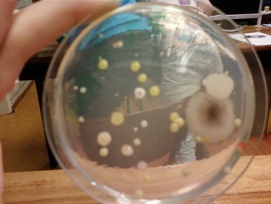 Besides setting up an experiment to investigate whether there are micro-organisms at different locations at school, you are going to learn how to work sterile, how to use a gas burner and an inoculation loop and how to put colonies from one Petri dish to the next. You will also learn how to explain and interpret a Petri dish. 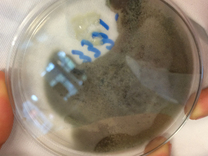 But before all this, you will have to learn a little bit about micro-organisms and how to make them visible. At the end of this unit you should be able to explain this picture.